It’s that time of year again! 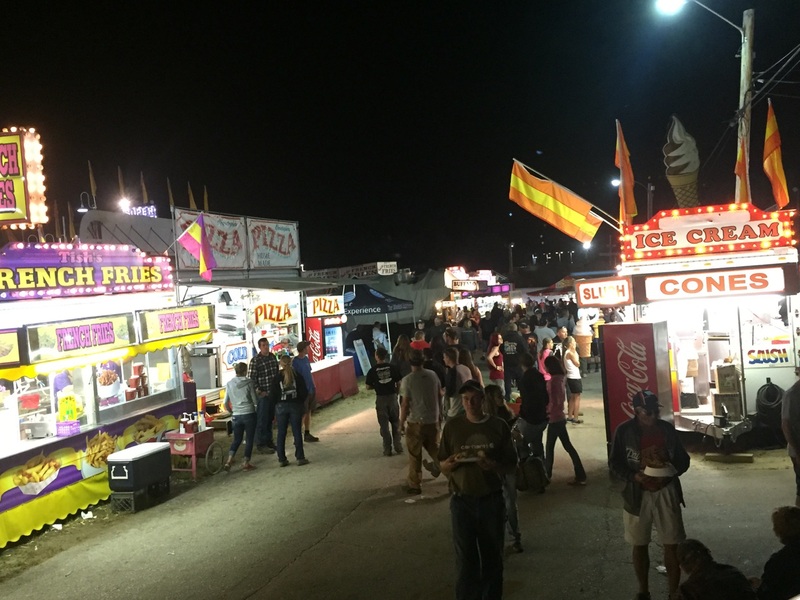 It’s fair season…and that means a wealth of knowledge and enlightenment for Yours Truly. Well, you get the idea. Anyway, each year I am amazed at all the things I learn and affirmations I encounter. The first year, I mourned the loss of patriotism. I have also written about giant robot dinosaurs and the most despised candies in the universe. 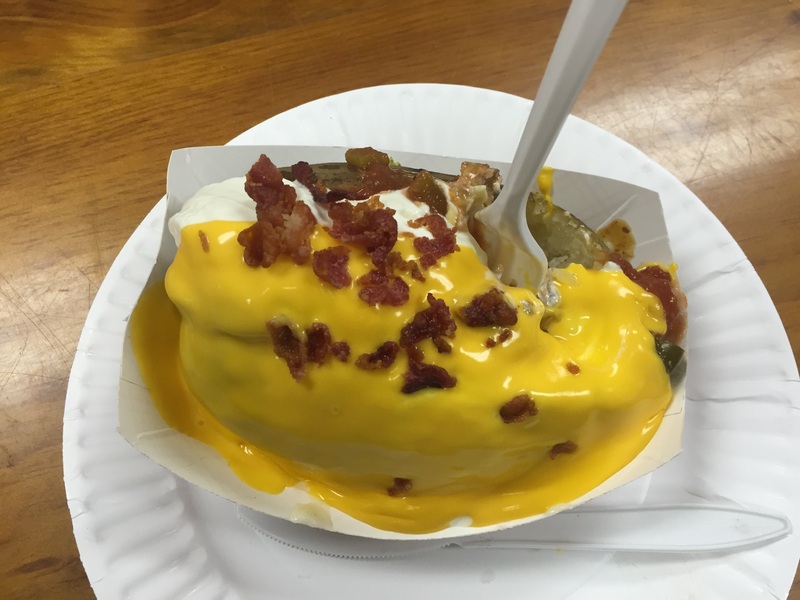 1) There is STILL no better single food item at the fair than the loaded baked potato. Heaven on a plate, folks. Heaven. On. A. Plate. Yes, I love the deep-fried Oreos, giant glazed donuts, and steak ‘n cheese subs (the latter two of which you can get combined, by the way – steak ‘n cheese on a donut!?! Seriously! )…but there is nothing at all like this potato, which features chili, cheese, bacon, broccoli, salsa, sour cream, and jalapenos all piled on top of one enormous spud. It cost me $13 and every bite was worth it. 2) If you are good at doing one job, be prepared to do every job that is similar to that first job. I am a voice artist and have experience doing recorded voice work (commercials, narration, etc.) as well as live announcing, such as what I do for the fair. 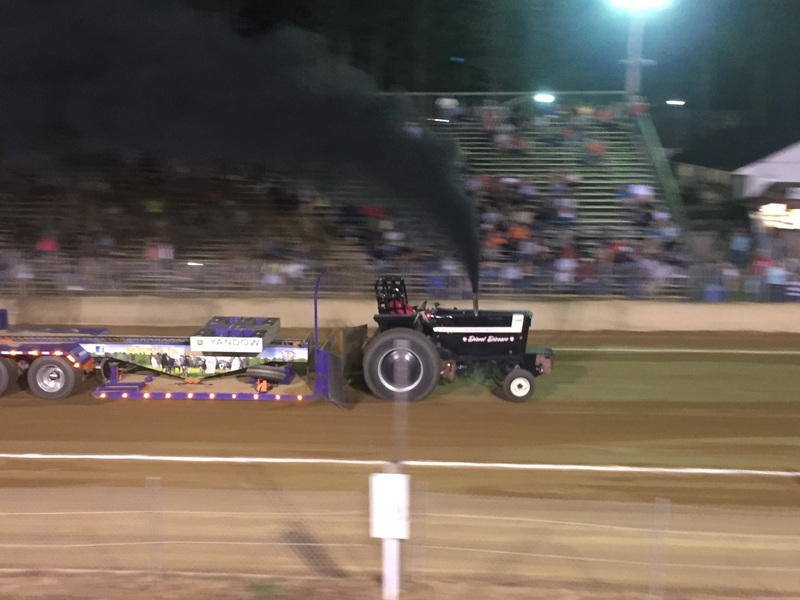 However, when the announcer for the tractor pull didn’t show up, guess who was pressed into service? 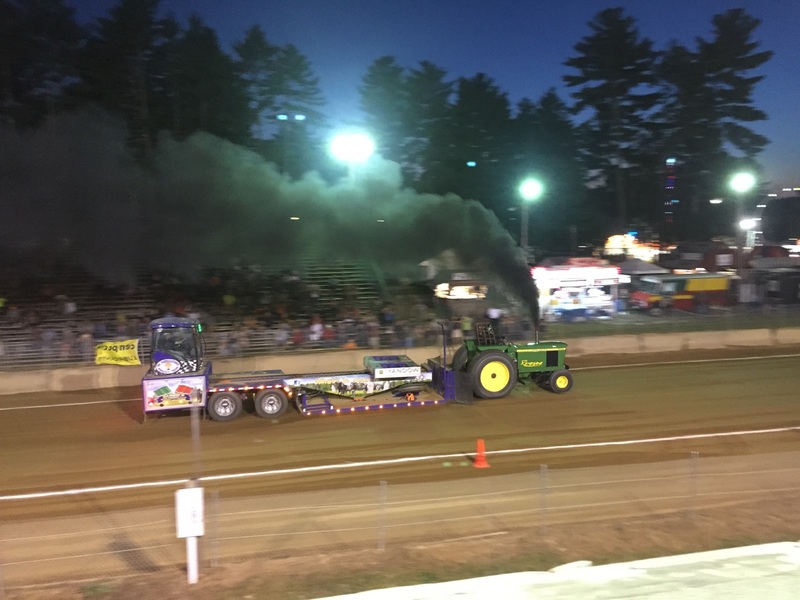 And when there was no announcer for the super-modified tractor/truck pull, guess who got the call? And when the fair needed someone to announce the daily parade that meandered through the fairgrounds, guess who was tagged? After a 55-hour weekend, my voice was crying Uncle. 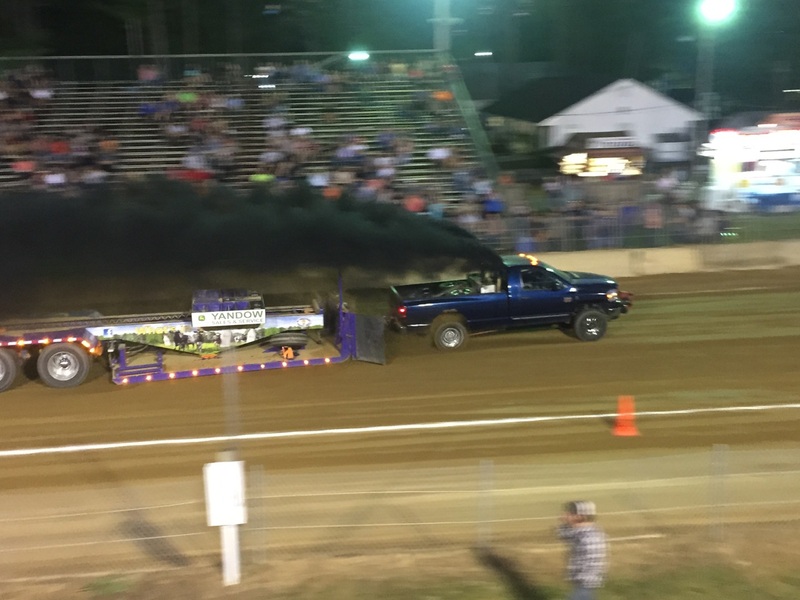 3) Environmentalists hate tractor pulls. I haven’t actually talked to any environmentalists about this because they’re still coughing, but it’s a good hunch. 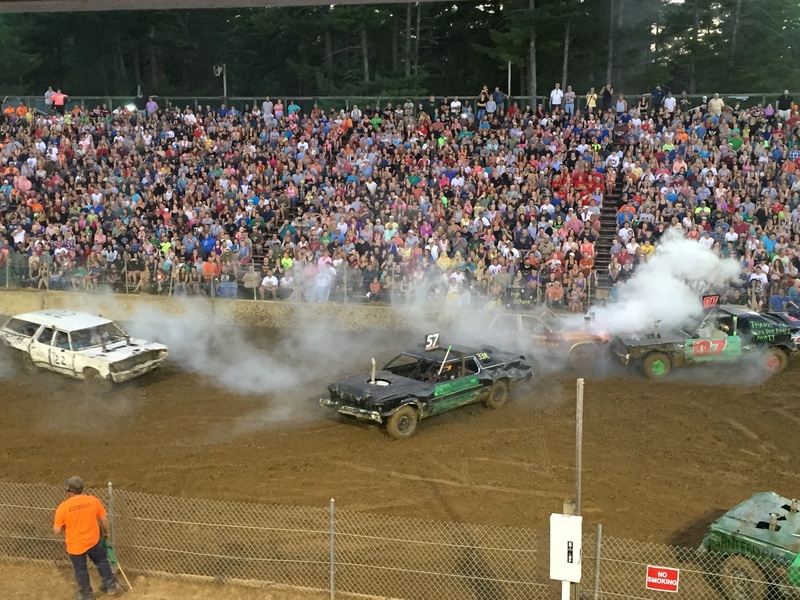 4) Environmentalists also hate demolition derbies. 5) A lot of people in this world do not walk straight. This probably seems like an odd sort of observation, but on more than one occasion I found myself in back of a person I started to walk past, only to have him/her veer in front of me. I would then attempt to cut over to the other side to pass them, only to have them veer back in the other direction. These were not drunk fair-goers, either – they were just drifters, sort of like that car in front of you on the interstate that you’re not quite sure if you should pass or just keep a safe distance behind. 6) Anything can be a breakfast food. One day I overheard a gentleman say to his wife, “Yes!! Turkey legs! Right over there!” at which point he quickened his pace in the direction of said turkey legs. Now, this scene wouldn’t be all that unusual except for the fact that this was at 9:30 in the morning. Not that I’m judging, by the way. I’ve eaten chili, lasagna, and General Tso’s Chicken for breakfast – so it’s nice to have the validation. 8) Kids can have the most adult conversations if you let them. Two young boys, who couldn’t have been more than 8 or 9 years old, were walking among the animal exhibits, near the pigs and cattle. One said, “I could never kill an animal!” The other replied, “You EAT animals!” The first one retorted, “Yeah, but they should be allowed to live!” To which the second one responded, “Well, then, you’ll need to find something else to eat.” Right or wrong, carnivore or vegan, these two friends continued their conversation down the path as I turned and walked in another direction. I would love to have known how this little debate ended. 9) Concepts like conservation and environmentalism are totally lost on some people. 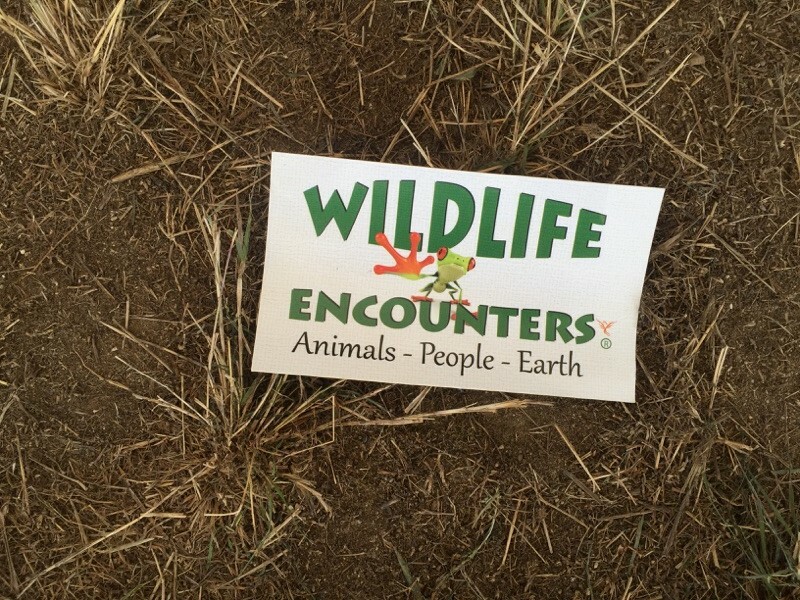 After watching a demonstration on wildlife conservation at the state Fish & Game Dept.’s building, the ground was littered with flyers from the demonstration. Irony at its worst. That’s a warm cider donut topped with French Vanilla ice cream, caramel sauce, cinnamon/apple streusel, and whipped cream. If the loaded baked potato is Heaven on a plate, this is your halo. You’ll notice I started and ended my list with food. Because really, that’s the best way to enjoy a fair, isn’t it? I hope to eat consume devour learn more at some of the fairs I’ll be attending with my family. Have you ever had an unusual learning experience at your local fair? I’d love to hear about it! Feel free to share your story in the comments, below. And remember, when it comes to eating fair food…you can only eat so much. PACE YOURSELF! 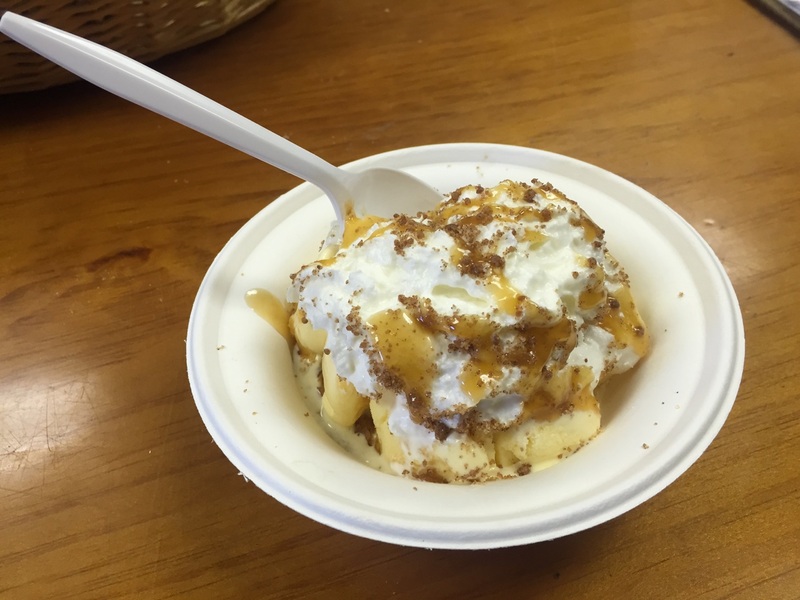 That cider donut with ice cream has me drooling, Matt! I am amazed that your voice held out as well as it did. 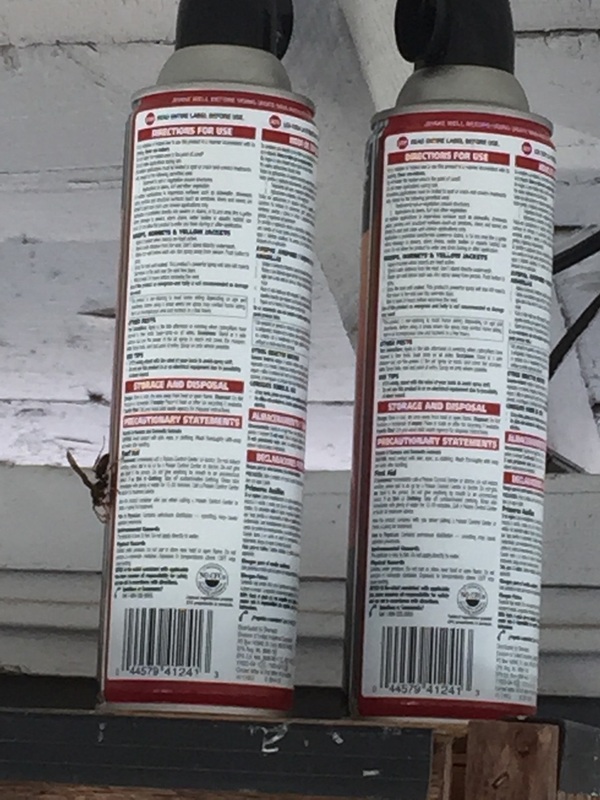 Do you have special things you drink or spray on your throat to help it out? Just water, Tabatha…lots and LOTS of water! Stay hydrated and your vocal cords will thank you. I missed our local fair this year, Matt, so your descriptions and learnings are very welcome. The food!!!!! oh yeah!!!! I don’t know how you managed all the announcing. Really. I hope you are handsomely rewarded. I wouldn’t say ‘handsomely’ – but yes, I am rewarded with a nice paycheck! It’s fun work, and even though it’s 55 hours in a 4-day period, there’s plenty of other work out there a LOT more grueling. I can’t complain!